Since coming to terms with the fact that I fancied the geeky Malcolm (the birdwatcher in the 1980s TV comedy Watching) it’s been years since I’ve had difficult admitting anything to myself. I’m not at all backward about coming forward when it comes to sharing my embarrassing moments but in all honesty, this latest fessing up has left me somewhat dazed. Me? Birdwatching? In South Africa? I like listening to birds and have always had a strange fascination with owls. But other than the dawn chorus, I’ve never really had a lot of time for our feathered friends. Once, in Valdez Alaska, when I saw about 14 eagles perched on the one tree, I stood in wonder. A robin in the back garden at home that comes calling every winter, he’s special enough to warrant an audible awe. But for the most part, not a bone in my body twitches. The British called birdwatchers ‘twitchers’. In South Africa, they call them ‘birders’. Same idea. Spend the day outdoors with binocs trying to get a check or a tick against a bird (the rarer the better). Yawn! Yawn! Yawn! 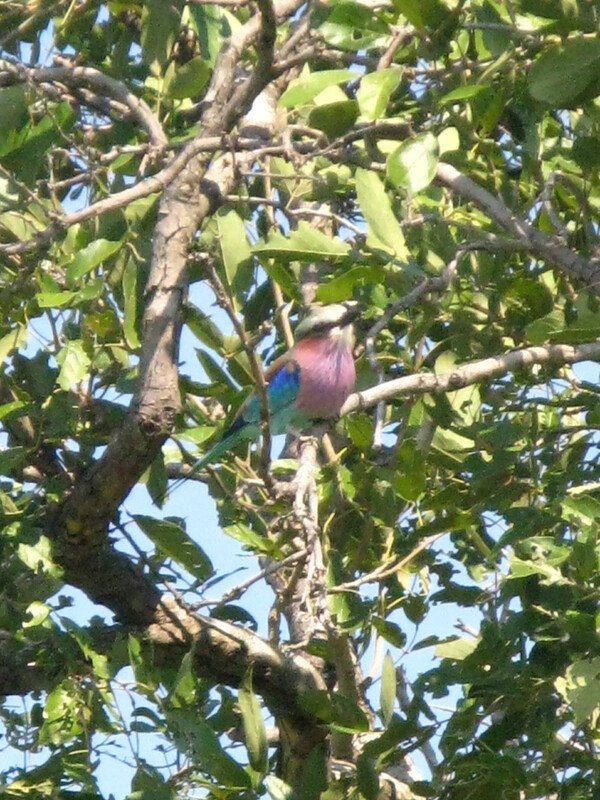 Now, having spent eight days travelling through Kruger with three avid birders, not to mention having had dinner with three others in Wakkerstroom, it was probably inevitable that something would rub off on me. But then again, I’ve spent years in the company of red-wine drinkers and I’ve never gotten a taste for that! Mind you, I was rather surprised that none of them were the slighest bit anoraky. They are all intelligent, interesting, amusing people with stories to tell. So much for stereotypes. Over the course of eight days or so, my fascination with birds became more and more obvious until on the last day, still searching for a leopard to complete the Big 5 (+ elephant, rhino, buffalo, lion), I had to fess up to praying for a sighting of the Kori Bustard doing his mating dance. I’d seen it on EK’s video from their previous trip to Kruger and so wanted to see him live, in action, for myself. Stuff the leopard… I wanted to see yer man strutting his stuff. And I’d have gladly taken a secretary bird over a cheetah! Another day, parked on a bridge, ostensibly looking for hippos or crocs in the river below, I spotted this big bird in the distance. 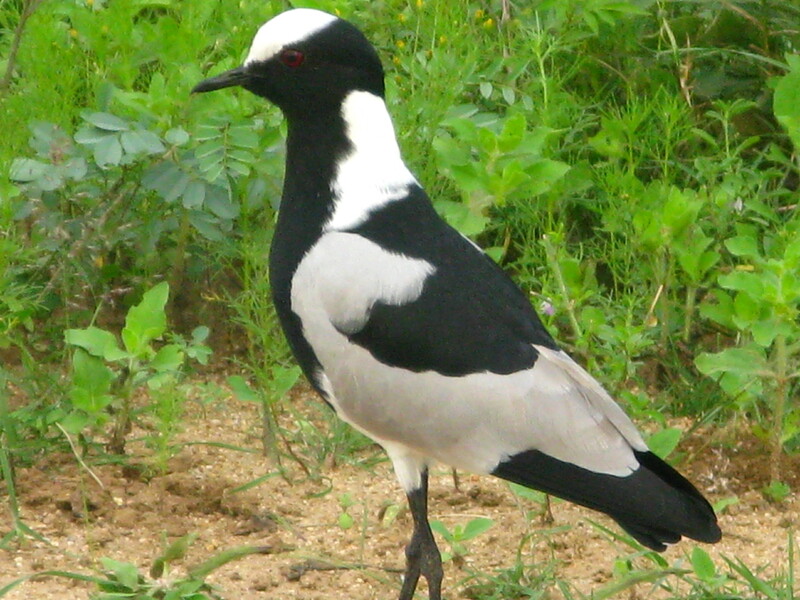 It flew closer and closer, black and white feathers with a black beak with bright red band and a flash of yellow. I was gobsmacked. I completely forgot about my camera and just stared, mouth open. The saddleback stork can grow to 58 inches in height and there are only 100 in Kruger (a place the size of Belgium). And I saw one of them! It was amazing. But as big as it was, I was equally taken with the hornbills, the glossy starlings, the blacksmith plovers and the go-away birds – which spend their time shouting ‘go away’! 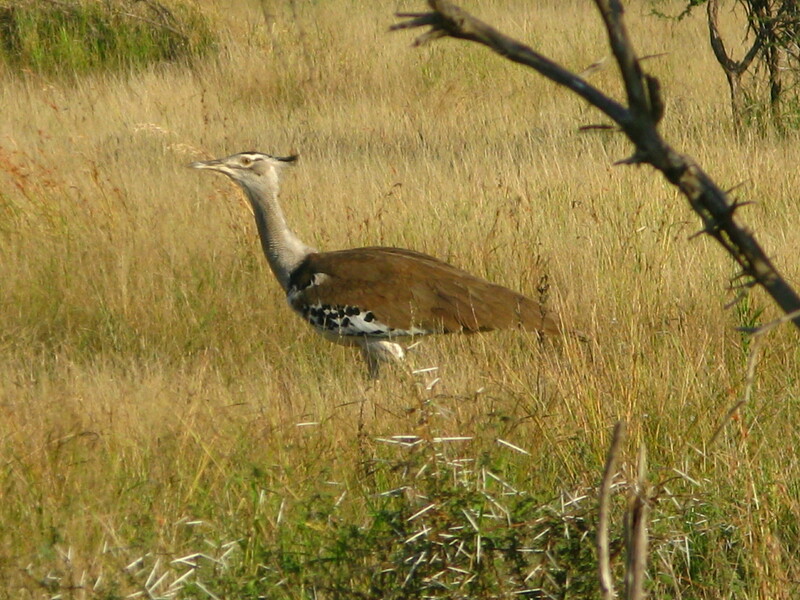 Child that I am, I got such a kick out of being the one to spot the Kori Bustard EVERY TIME, without binoculars, despite being in a Kombi full of birders! It was during a moment of gloating that I realised what was happening. I was shocked. I was hooked. After two days, I gave in and started ticking them off. After six days, I began to recognise them myself and only had to ask about the new sightings. 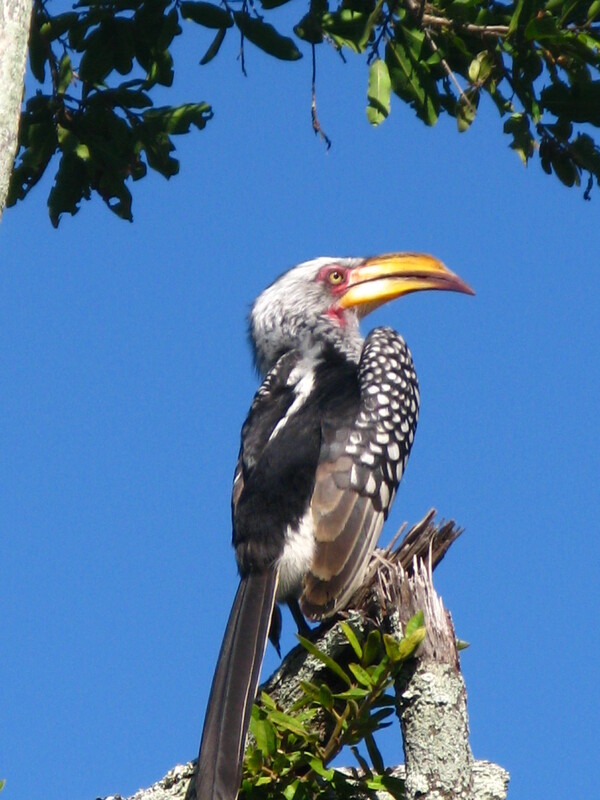 I spent ages following three yellow hornbills trying to get them to pose. I cursed myself for not having a telephoto lens only once during the whole trip: when we spotted seven ground hornbills…. in a tree!!! I have a thing for black and white and was dead keen to get a decent shot of some zebras for my B&W hallway.Then I discovered the blacksmith plover…and those pyjama donkeys had some competition. Unfortunately the closet birder in me didn’t show her face until we’d left Wakkerstroom – and I missed the opportunity to see some cranes. Now that would have been cool. Equally so, to see some vultures…close up and personal. I’ll just have to content myself with rereading Xinran’s Sky Burial. Great to see that you’ve been bitten! Did you know that Hungary is a great place to look for Great Bustard? Hope we’ll see you in South Africa again sometime. Our e-mail address was wrong on the previous posting. We are leaving for Bulgaria via Pretoria on Monday Morning. Have a safe trip and if you find yourself in the vicinity, do drop by. Plenty of room! See Dr Pat Benson talking about vultures.